Join us for our annual Call and Response Foundation Spring Retreat. 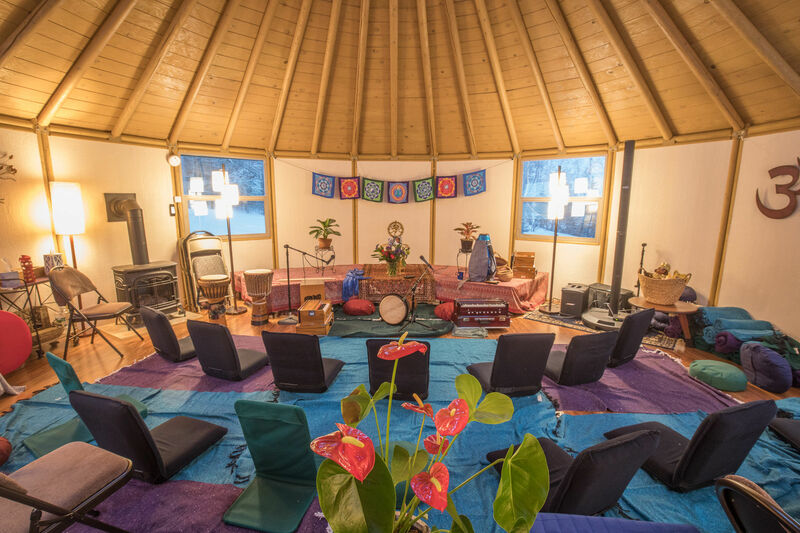 This unique retreat will follow our Chant in Service model, combining kirtan practice with seva projects within in the local community. Located at the Sandwich Mountain Sanctuary in Thornton, NH, this will be a home-styled retreat graciously hosted by Norman and Cynthia Scrimshaw. Mornings will include yoga offerings from Christine Mason. Saturday afternoon will include a local service project where we will have the opportunity to take our practice “off the mat” and out into the community. Each evening will feature kirtan led by Shantala and friends! Shared accommodations in beautiful farm house and small cabin are included and available on a first-come first serve basis and includes 5 homemade lovingly prepared vegetarian meals.